Are you having trouble catching sleep? Are you constantly tossing and turning at night, instead of getting a good night's sleep? 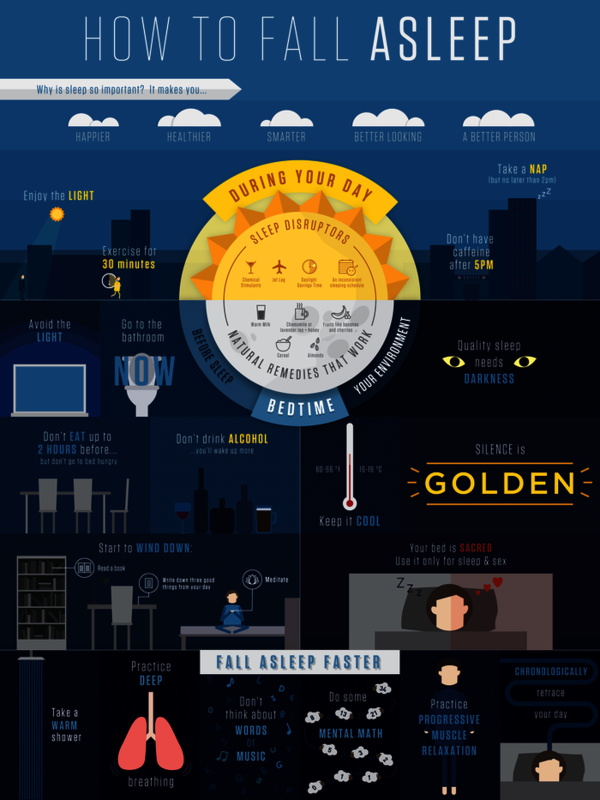 You ought to watch this infographic 'How to Fall Asleep' by Donal O'Conghaile. The infographic contains everything you should know to get a decent night's sleep. What you should do during the day. What you definitely shouldn't do. Tips to catch sleep way easier, ... This sleep chart has it all. Goodnight!